Lit candle at the wedding table, decorated with flowers. Decorative candle for holiday party. 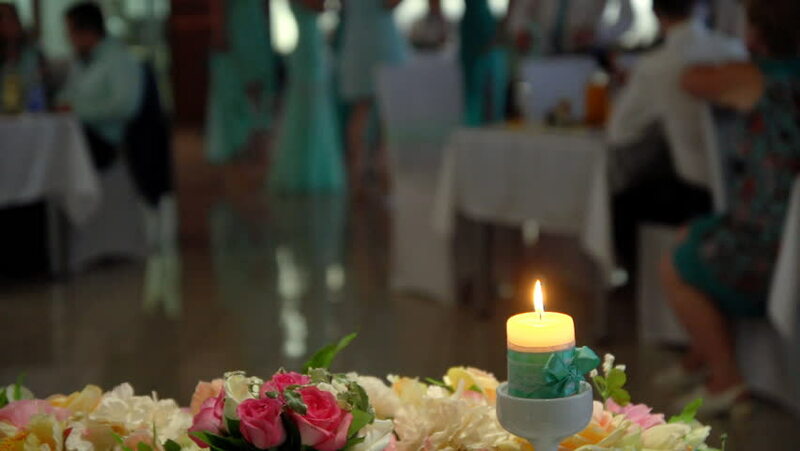 hd00:20Lit candle at the wedding table, decorated with flowers. Decorative candle for holiday party. hd00:08Beautiful girl is celebrating birthday with friends.Beautiful table settings on the background.